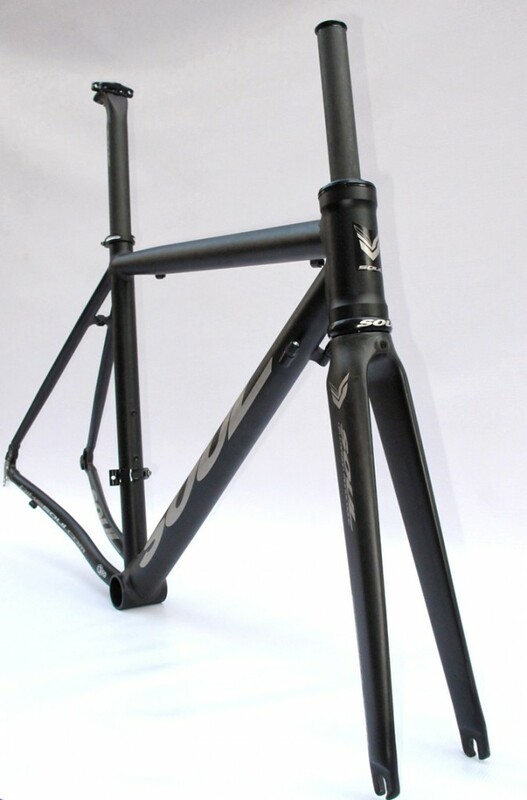 2009 was the beginning of our serious venture into the use of aluminium for bicycle frames. It might sound counterintuitive, as it appears to be a backward progression from titanium to aluminium. However when considering that aluminium offers an affordable, light and stiff high performance alternative, it definitely made us look seriously into it. The Faith is a true work horse for the competitive cyclist. There is literally nothing that this frame can’t do. It took months of designing and testing. However we feel that it was all worth it. The design although appearing simple finally achieved the goal of a lightweight, stiff/ responsive and relatively inexpensive frame. 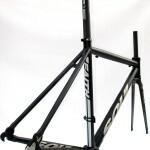 Size S frame weights 1.25kg. 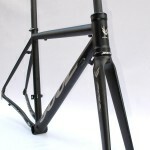 The frame is anodised black for ease of maintenance and to keep the weight low. All welds are finished smooth for a more seamless aesthetic, although you should note that there is a slight colour difference between the welds and tubing as different materials have different resulting colours when anodised. It is also the first time we have ventured into the use of a new bottom bracket standard, the PF30, which should increase the stiffness of the frame even further and resolve all tolerance issues we had with BB30 previously. During the design process, all tubes were inspected, and subjected to rigorous examination as we sought to keep the weight low as well as to increase the stiffness of the frame, something that was as we found out really hard to do with aluminium tubes. 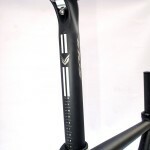 The Downtube flares to a massive cross section/ diameter at the BB for maximum stiffness. This is made possible by the use of a PF30 shell and also hydroforming the downtubes. 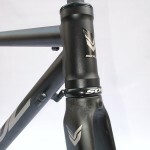 Front-end steering is kept exceptionally controlled with the use of another tapering top tube that increases in size as it reaches the head tube. 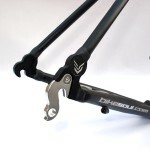 New for 2013 is also a tapered steerer fork and whole new headset standard developed by us in 2011. The use of an internal cup above and external cup below helps us keep the overall frame weight down as there is no necessity to form and taper the headtube. This results in a lighter and stronger headtube. The tapered steerer increases the front-end stiffness considerably making handling, corner, descending and hard out of saddle efforts while climbing and sprinting more predictable. The seatstays were also redesigned for the new model, to a wider, flattened shape as opposed to the previous S-bends. This increases the lateral stiffness on the rear but also increased vibration absorption transmitted from the road. We are offering the frame in a choice of 3 different colours; Anodised black with light grey/ champagne decals, anodised burnt orange with light grey/ champagne decals and anodised black with gloss black decals. 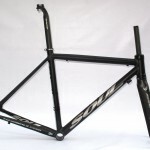 Overall, this is a serious all around road racing frame which will make for a great pure racing and training bike, improved to an entirely new level for 2013 encompassing all new technology seen on modern carbon road frames.